In today’s digitised world, knowing your UAN status is important because almost every facility extended to EPF members requires an activated UAN. 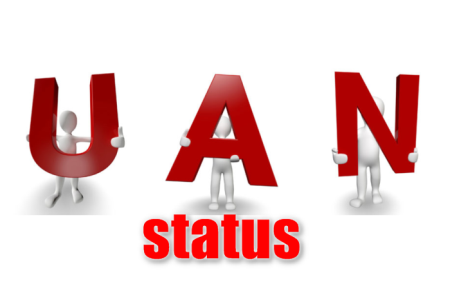 So, how exactly do you find out your UAN status, and why is it so important? Read on to find out. UAN will remain associated with an employee throughout his career.The UAN number is a very important number for working employees. Note: For UAN activation, review our related article titled, UAN Login: How to Register and Activate your UAN Online. UAN is a 12-digit permanent number that is allotted to every employee who has an EPF account. In other words, the UAN is like a lifetime EPF identity for every employee. The UAN number is useful when you want to check information regarding your EPF account online. To obtain your UAN, your employer has to submit the required information to the EPFO. However, if you haven’t been allotted a UAN number, then you can check it yourself by finding out your UAN status online. Before we take a look at how to find out your UAN status, let’s consider briefly the benefits of a UAN. You can view your EPF balance at any time simply by logging into the member portal or through the mobile app. You can also check your EPF status using SMS and missed call service. Refer to our article on PF status for more information on this. View and/or download your EPF passbook through the member portal or through the mobile app. Apply for EPF withdrawal without your employer’s signature. Track the status of your claim for withdrawal. Check out our article on EPF Claim Status for more information on this. Transfer your EPF account online. Download and print your UAN card. Note: In order to avail some of the above facilities you will also need to link your UAN with your Aadhaar, PAN and bank account details. Read our article titled Link Aadhaar Card with EPFO and UAN for more information on this. An activated UAN ensures minimal dependency on EPFO and working staff. In addition, you can find out most of the information related to your EPF account yourself without going to your present (or past) employers. 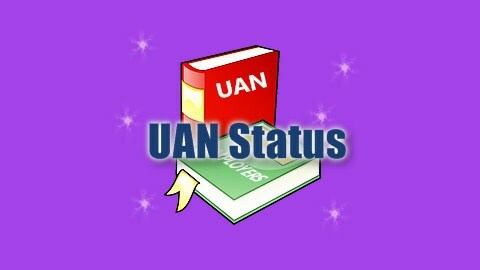 The main reason you want to check your UAN status is to know if it has been allotted so that you can activate it. The other reason you should check your UAN status is to make sure that all your EPF details are correct. If there are discrepancies between your actual details and those in the EPFO records, you may have difficulty accessing your EPF account. Before checking your UAN status, make sure you have your 22-digit EPF member id with you. On the next screen, a “Know Your UAN” form will appear. Click the check box next to Member Id and select the State and Office in which your EPF account is maintained. The first 5 characters of your EPF member id are the Region Code and the PF Office code. The next (maximum) 7 characters are the Establishment Code. The next (maximum) 3 characters are the Extension code. The last (maximum) 7 characters are the Employee number. If you don’t have your member id, check the box next to Aadhaar and enter your Aadhaar number. If you don’t have your member id or your Aadhaar number, check the box next to PAN and enter your PAN. Enter your name (as it appears in the EPFO records), your date of birth, mobile number and Email ID. Enter the authorization Pin and click Check Status button. The Member e-Sewa portal allows employees to get their EPF account information using the universal account number. Hence, if you are an EPF member, find out your UAN and get it activated today to avail all the online facilities. We hope this data was helpful to you in valuable ways. If you have any questions or doubts, please leave your comments below. Also, remember to visit our site often for EPF related updates. I am trying to login in UAN memnver portal for check my PF. but i couldnt log in. Same problem I am also facing. Why not open page in mobile. I am trying to login in UAN memnver portal for check my PF. but noy login. IF you have any way to check our pf amount current status so tell me how we can check it plz given step by step process for checking it….. I am trying to login in UAN member portal for check my PF. but I couldn’t log in for past 3 weeks. When will its work. Is Server related to UAN activation down ?? I am trying from 30 days to activate my UAN, the page is not even Loading. when will it be fine, or is there any other way to activate UAN? My pf 4 years problem and my language tamil plz help my pf .andyour contect no my mobile send plz sir. Hy I am Billu mangal Manghi I am working bokaro steel plant my boss not give my uan no so how could I get my uan no? Woy not registered my uan number. UAN Member Portal is not working. Can some one look in to this issue please. At least provide some assistance bcoz this is related to whole country. UAN portal is down for more than 30 days, and also no response from any authorities , why you guys working in the Government jobs , without doing anything getting salary , instead you get beg to public. you all should resign your jobs if its a private organization. No one is here to take action, that kind of government is ours, stupid government. That addess u gave to login that is not working. please tell how to generate uan number. I am trying to login in UAN member portal for check my PF. but I couldn’t log in for past 20 Days. If change, then tell me – how to check my current pf balance status. I am trying to login in UAN member portal for check my PF. but i couldnt log in. Not possible to UAN Log in …..
want to activate UAN Number. it is not possible last few days. I am trying from 60 days to activate my UAN, the page is not even Loading. when will it be fine, or is there any other way to activate UAN? I am trying to login in UAN member portal for check my PF. but I couldn’t log in for past 9 weeks. When will its work. I am trying to login UAN member portal last 2 month but still i conuld’t login.when it will work. Neither the website nor the app is working since mid December! I am looking for activation my UAN Number but this online website links ha been not working. how can I activate UAN Number ?. I don’t have any information about My EPF, Can any one let me know this my question if find the solution. 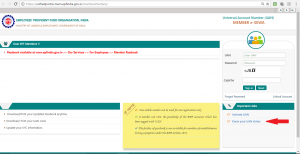 UAN member portal not running since long, also no step taken by pf team. PLEASE CHECK MY EPF STATUS & BALANCE. It is not working…past 2 months..pls let me know when it is working…for UAN activation. I trying to open UAN loging page past two months but loging page not open. i allready activate portal member, i face this problem last 2 or 3 months.my UAN no.is 100575133545. please confirm me when sites working??? Very poor website.total time wasting .I am unsatisfied this website.&software. site is not working. 10 times a day i try but NO. Please help me. I am dileshwar kumar. My mobile number is not Register in UAN. Please register my mobile number in UAN. pls tell me how to check my uan status. I request to punished those pf officer who is enter my DOB wrong. I have two UAN 100061187980/100403970366,after several times submitted of documents it has not transfered, 2 years has passed till now not updated my pf. Long time trying this but not working this web site. Please EPFO team look into this. how can i generate UAN , iam unable to generate …. pls help me some one… Help Desk – 1800 11 8005… no is always busy…. pls help..
Sir i have created uan member portal but while logging it seems incorrect password on the display while i have changed my password just now before some time. Had they been absent, the candidates could have thought it was very difficult to discover the subject. F words are coming out of my mouth. Who the hell ask this gov to take a part of my salary? I don’t even know whether my money is safe or not. idiotic digital world. UAN of some workmen at my site already has been generated in UAN portal but they forgot the numbers. we are now want to find out it.So my question is we can search it through member ID number. It takes enough time in order to connect with the internet or open other window to work. spyware protection are:free antivirus often supplies the same degree of protection as paid products. the levels they’re presupposed to be encountered at. who may fry it…. they’re in all probability not going to have the ability to. 1d6 harm plus 1 Con injury each round. I want to know my UAN but I forgot the mobile no. I gave at the time of registration.